Display Accessories — Exhibit Systems, Inc.
Keep track of all your marketing materials with an easy to assemble literature rack. 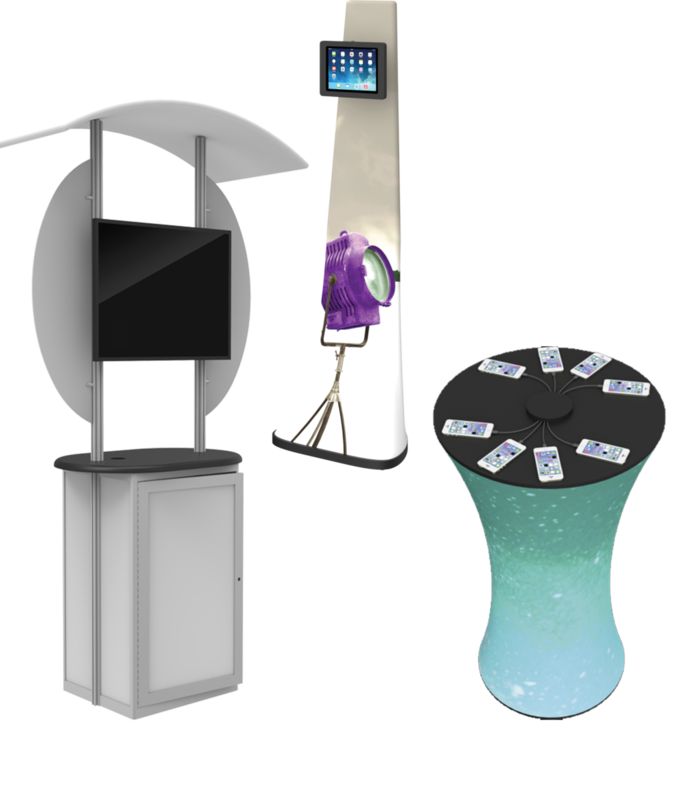 Bring a more visual and interactive marketing experience to a space with a tablet stand or kiosk with mounted TV. We also offer charging stands for the latest mobile electronic devices. Bring the best patron line-of-sight to an exhibit space with a hanging sign. Many shapes and size available. Signs utilize a metal frame with printed fabric graphics.